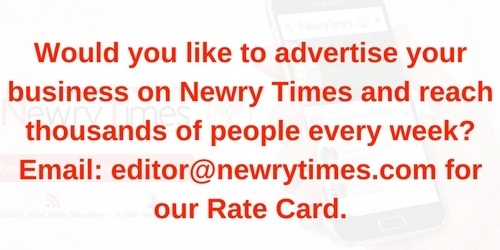 A preferred route for the Newry Southern Relief Road has been announced. Five routes were considered taking into account performance across the scheme objectives and the views of the public raised in the community consultation event. The Newry Southern Relief Road aims to provide a strategic transport link from the A1 Belfast-Dublin key transport corridor to the A2 Warrenpoint dual carriageway. The Proposed Preferred Route links the A2 Warrenpoint Road to the Ellisholding Junction on the A1 and starts on the A2 Warrenpoint Road along the frontage of Greenbank Industrial Estate and crosses the Newry River and Canal just to the south Drumalane Quarry and then heads in a westerly direction towards the A1. Speaking to Newry Times, Southern Divisional Roads Manager, Simon Richardson, said, “This is another key step in the delivery of the Newry Southern Relief Road which if constructed will be an important link road between the key strategic corridor of the A1/N1 Belfast to Dublin route with the A2 and Northern Ireland’s second largest port at Warrenpoint Harbour. 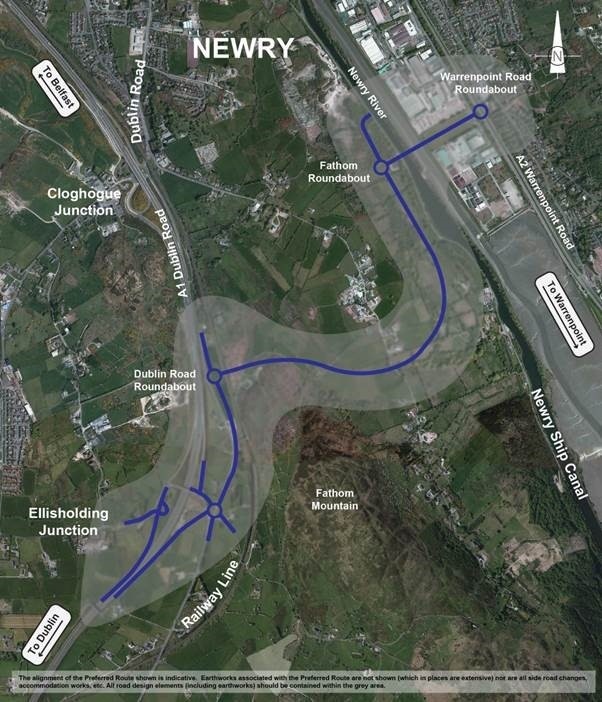 “The route will improve ‎journey times and journey time reliability for strategic traffic between the A2 Warrenpoint Road and the A1/N1. “It will also significantly improve road safety and traffic congestion within Newry City centre by providing an alternative route for strategic traffic. “The proposed scheme will improve accessibility to both Newry City and Warrenpoint Harbour and support and maintain sustainable economic growth and employment within the area,” he added. The next stage of the project will be to develop the design of the road and prepare the draft Statutory Orders along with an Environmental Impact Assessment, for public consultation, and if necessary, public inquiry. A series of local exhibitions and information events will be held over the coming months that will keep the public and stakeholders up to date on scheme developments. Details of these events will be published in due course. Continued development of the proposal remains subject to approval of the business case, clearing the statutory procedures, and funding being made available.